Martin at a meeting of the All-Party Parliamentary Group (APPG) on Green Deal Mis-selling. Martin Docherty-Hughes MP has urged residents in West Dunbartonshire who may have been mis-sold home energy efficiency measures such as solar panels to come forward and seek advice. Thousands of Scots who signed up to a UK Government-backed Green Deal scheme to fund home energy efficiency improvements have found themselves facing substantial debts and financial difficulties. 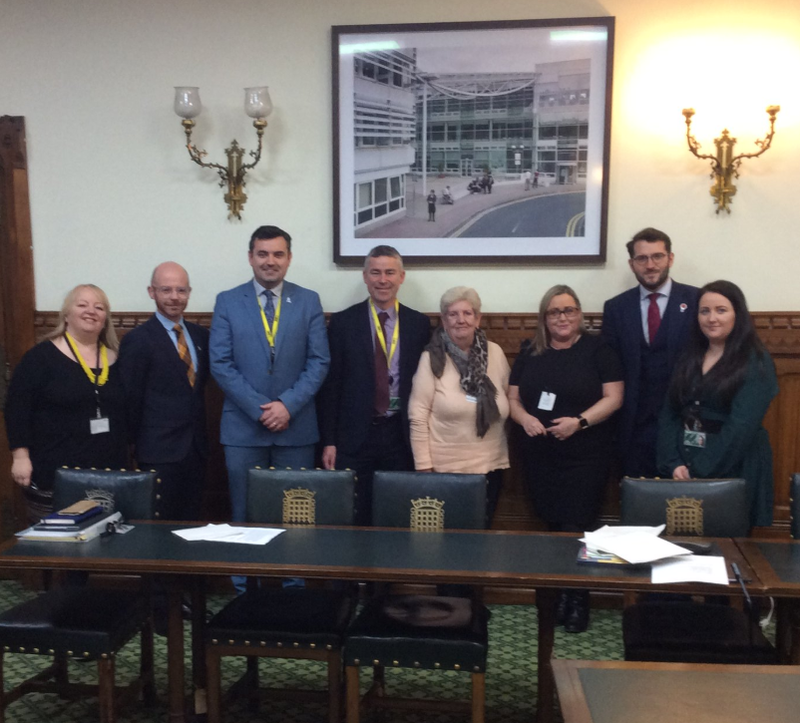 SNP MP Martin Docherty-Hughes said it was a scandal that the UK government has not done more to help those affected by Green Deal mis-selling, and called on any local residents affected to lodge complaints with the Green Deal Finance Company. The move comes after an SNP-led Bill at Westminster calling on the UK Government to compensate victims of Green Deal mis-selling passed its first stages at parliament. Green Deal provider HELMS, which is no longer trading after going into liquidation, has been criticised for ripping off customers in a damning report published by Citizens Advice Scotland. “I’ve been contacted by a number of constituents from West Dunbartonshire who have been ripped-off as a result of Green Deal mis-selling for solar panels and insulation. “We know though that there are many others across Clydebank, Dumbarton and the Vale of Leven forced into financial difficulty as a result this who may be unaware of how to seek redress. “More than 3000 households across Scotland signed up to the Green Deal scheme, leaving many people facing substantial debts and some unable to sell their property. “The Green Deal initiative was implemented by the UK government. This is a scandal of the UK government’s own making and it’s time they took responsibility for the hardship it’s caused thousands of people who signed up to the scheme in good faith.